You must make reservations at least 5 minutes in advance of the time at The Earle. 1) Large public surface lot that occupies the entire city block, bounded by Huron, First, Washington and Ashley. Entrances are on Ashley (northbound) and First (southbound). This lot is "kitty-corner" from our entrance. Tuesday-Wednesday-Thursday we have solo performers (piano or guitar) that play from 8pm until 10pm. On Friday and Saturday we have a soft jazz trio (usually piano, bass and drums). The trio plays from 8:30pm until close. No cover anytime. The Earle offers three separate private dining rooms. 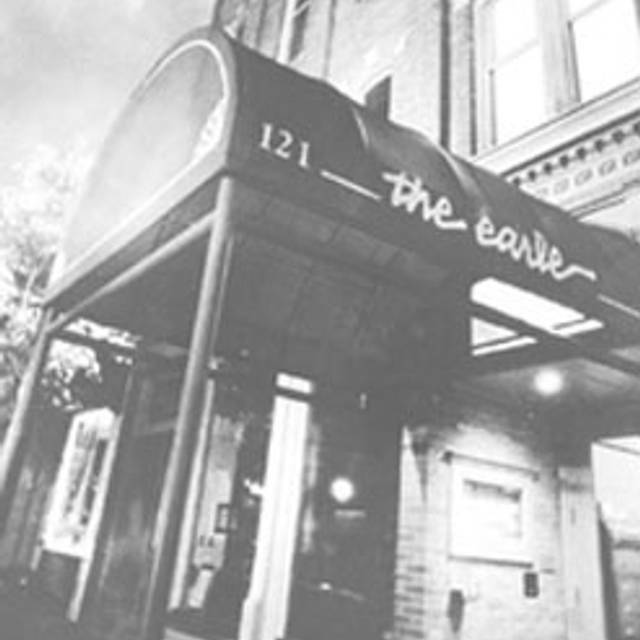 An award winning Ann Arbor institution since 1977, The Earle serves a rotating menu of fine Italian and French cuisine in a relaxed atmosphere. 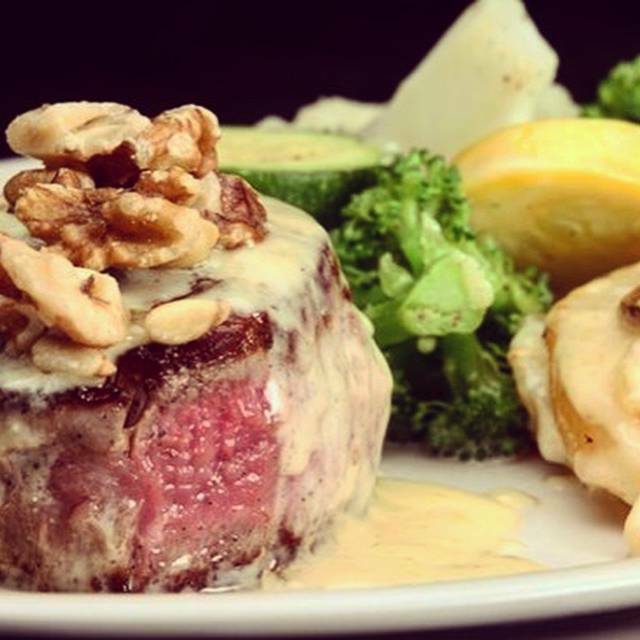 Selections include lamb chops, veal, beef tenderloin, salmon, duck breast, sea scallops and more. Live jazz plays Tuesday through Saturday in the dining room, while the wine bar offers lighter fare, twenty wines by the glass and Ann Arbor's best Happy Hour. 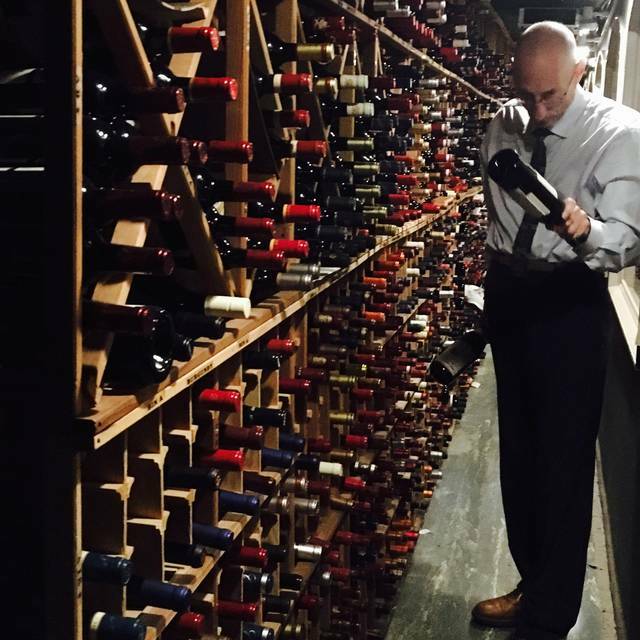 The Earle's nationally recognized wine list (Wine Spectator's Best of Award of Excellence) offers over 1,400 selections. Three private rooms are available and accommodate groups from 6 to 48. Smoked salmon slices with asparagus and avocado...sprinkled with olive oil, lemon juice, and fresh basil. Earle bread toasted, drizzled with olive oil, rubbed with garlic and topped with pesto, tapenade, eggplant pâté ...with fresh mozzarella, sun-dried tomatoes, and basil. A salad of strawberries, cherry tomatoes, and spring mix...with basil and mint, dressed in a white balsamic vinaigrette...topped with orange segments. Lake perch lightly breaded and fried...served with an herb and caper mayonnaise...served with potatoes. Fresh fillet of salmon rubbed with dijon and wrapped in puff pastry with a mushroom duxelle...served with a tarragon-cream sauce. Fresh yellow-fin tuna grilled and served with seared potatoes, green beans, tomatoes, black olives, anchovies, and garlic...with a dijon vinaigrette...on arugula leaves. Roasted zucchini wrapped around a stuffing of ricotta, asparagus, lemon zest and oregano...topped with mozzarella, parmesan, and tomato basil sauce on a bed of sautéed spinach, served with rice. Excellent food and service as always. Great new dishes on the menu. The Caesar salad had so much garlic that we had to send it back. They remade it. Our entree was a pasta dish and again was loaded with garlic. It was inedible. We went without a main as w were overloaded with garlic. We love dining at the Earle, especially early when it’s nicely quiet. Menu is fairly classic French and Italian, with standard options well prepared. 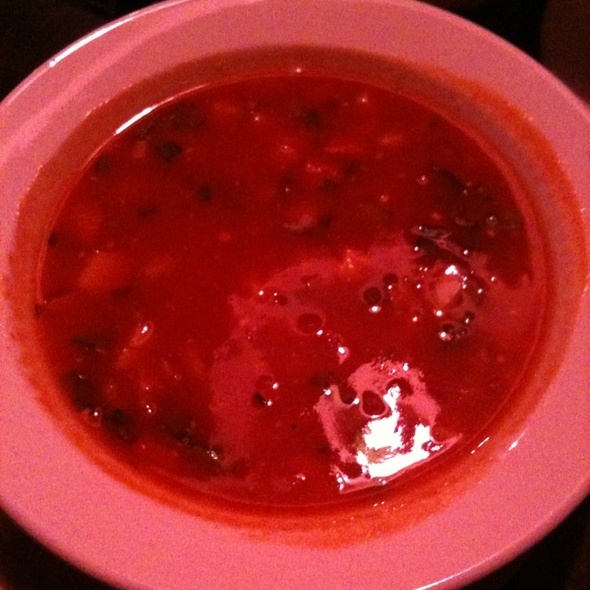 We enjoy the panzanella and the vegetable soups, vegetable sides are always tasty. I wasn’t as impressed with the tuna this time; very heavily sauced and a bit over cooked, but I think next time I’ll simply ask for much less sauce. Salmon en croute was lovely and delicious. We skip dessert because we are always quite sated by then, although they are very tempting. 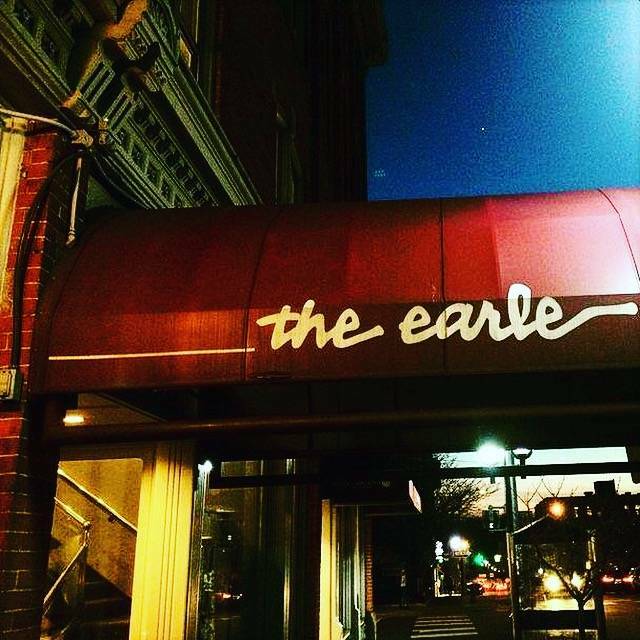 The Earle had been the fancy restaurant in town until the foodie revolution came to Ann Arbor. Now there are many dining choices and we strayed from going to the Earle. But our dinner there the other evening reminded us that they have wonderful, Northern Italian style cuisine. And the wine list is extensive with great selections for all palates and price points. The wait staff and the wine steward were knowledgeable and friendly. But our main reason initially for dining at The Earle was because of the lack of a lot of extraneous noise. We could have a conversation without having to lean over the table, cupping our ear in order to hear what is being said. Bliss! Great place for a relaxing dinner and conversation. Staff never rushed us!! The home made pasta will bring me back again!! 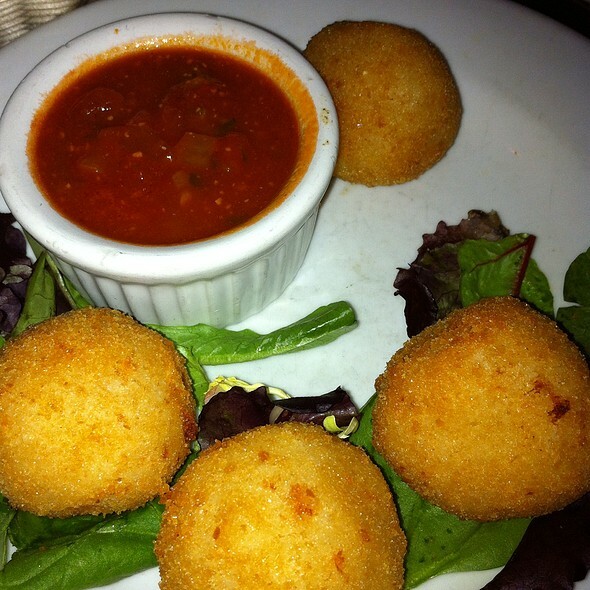 If you are looking for some more authentic Italian cuisine in Ann Arbor area The Earl has it. Live music on the weekends. Great ambiance quiet little venue to see a wonderful group or artist play. The drinks are delictable. Help to celebrate my mother's birthday! Was where she has been wanting to eat for a while. It lived up to what she wanted, as a visitor of Italy, it was on point. The service was great! The food was delicious! Nice jazz and good food, though a bit over-priced. However, we had a $10 coupon that the server refused to honor because he pointed out some very fine print on it said it was valid only week days. I thought that was rather ticky tacky given the bill was $100. You would think that a restaurant that’s been around that long would better understand the importance of customer good will. The whole point of such coupons is to get people in who might not otherwise come in, and more importantly, to get them to come back. Food was superb. Gin gimlet was amazing as was the roasted garlic starter and the roasted duck. Amazing place with server and assistant server providing great table service. The food and service are really good!!! Will go again. Been going to the Earle for years. It never changes (perhaps because management has been the same since forever). Menu and food still great. The food was superb, atmosphere calm and serene. Music started at 8 pm and was very pleasurable. The wait staff was very attentive and friendly. Excellent service from the hostess to the wait staff to the busser. I absolutely love this restaurant as a symbol of old Ann Arbor. I feel special when I'm at a table, enjoying the ambiance, and listening to live jazz. The Earle is a restaurant known for having an outstanding wine selection. Which they do buy their wine list. We asked the waiter if we could talk to someone about it one suggestion however he said that the person responsible for the wine selection was off on Thursdays and Mondays. We said no problem could he make some suggestions or we asked if there was a bartender or manager I could possibly make some suggestions on a wine selection his answer was no there is not. I jokingly said back to him so you’re telling me a wing bar restaurant has nobody that can talk to me about any wine selections and he said yes that is correct. We were dumbfounded by the reply. We picked out a nice sterling 1999 reserve bottle by ourselves. Somebody did come over later and said they knew a little bit about wine and can make another suggestion but we are good at that point. I highly suggest the manager in at the Earle teach their employees something about wines since you specialize in them and if you’re one person is not there that’s OK but I would a soon most restaurants would have a list of a few items they would recommended as good bottle of wine. I take this as a lack of training of employees. Food was OK Ambience was good. Normally I don’t write reviews however this is the second time that I’ve had a bad experience first time was about a year and a half ago went there for my 50th birthday was looking to spend about 500 in a bottle and have two or three bottles. It was a Saturday night and the place was packed and very busy however we were able to get one bottle of wine we got our dinner we asked our waiter twice to see someone I who could offer us an idea for a second bottle of wine nobody came we finish dinner and we left I was very disappointed then. At that time we did ask the waiter if he could recommend a bottle wine he said no. Great service and good to great food. Delmonico steak was cooked to perfection, though lacked a bit of meat flavor I've expected. Creme brulee was fantastic but other desserts overall can be improved. Coffee was done near perfection too! We all enjoyed our birthday dinner for Rob and Melissa Lloyd, including their 5 year old son, Rob’s brother and Mom. The wine selection included a favorite blend of a Chenin Blanc and Viognier. Our meals included the duck, scallops, a steak, and a mushroom pizza for the young one; all of which were delicious. Our waiter was polite and accommodating without being obtrusive. Finally we were seated at a quiet table with plenty of space. A delightful experience! Jazz trio always good. As are the flavors. The Earle never disappoints. The staff are attentive but not annoying. And the food is excellent. 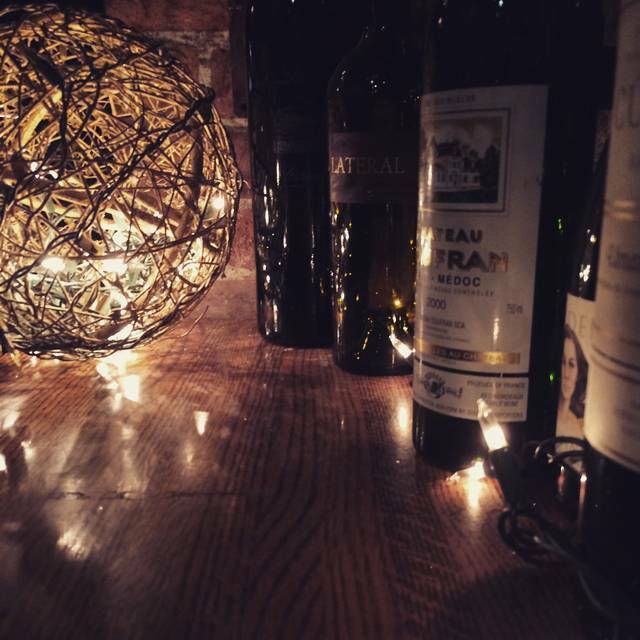 Food,service and wine list always make The Earle an enjoyable evening. I have dining at the Earle and always enjoyed great food, outstanding service and left wanting to go back again. Excellent food as always. Wine list is outstanding and prices are reasonable for the offerings. Interesting and eclectic wine list, but nobody to help with wine questions. Great food but poor service on this occasion. Waiter was inattentive and slow, and was clearly more involved with the table of six than the three tables of two. Birthday dinner - hostess welcoming, assisted us with a larger table as the initial booth was tight for 4 of us. Wait staff very nice - a little slow with main course. The French Martini was delicious. The salmon in pastry was very good. A nice evening overall. The Earle is my favorite restaurant. I’ve never had a bad dish here. Incredible culinary delight. One of the finest dinners I've had in some time. Great dining and drinking experience as usual. The wine book (not list, but a book) is incredible with bottles from the world over and priced for any budget. The sommelier is always friendly, patient and very knowledgeable. Love this place! The sommelier was the definition of pretentious... I guess if you are dinning alone you should not order a bottle but drink their by the glass choice...hmmpff - maybe he is in recovery and looking out for my best interest. The food was ok, not great and not bad. A very reliable restaurant-high quality food well prepared and a fantastic wine list. BTW, the wine prices are quite reasonable. One quibble-the silverware is awkward to handle. First time visiting ann arbor and took my girlfriend there, we 100% will be back next time I am in Michigan! 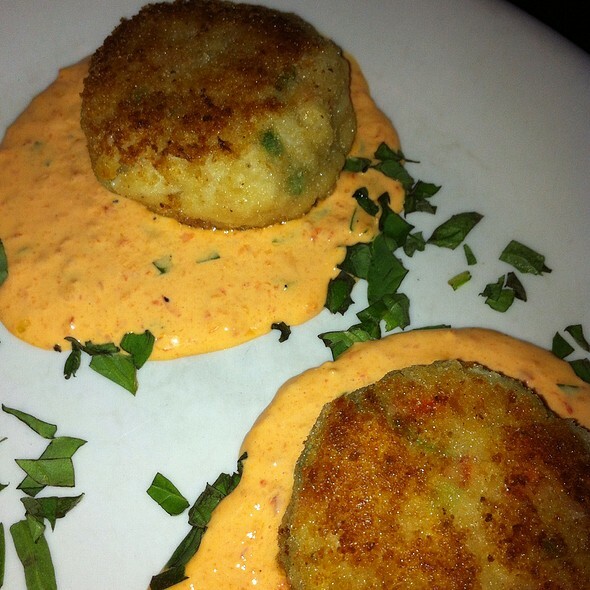 Outstanding food, ambiance and atmosphere. 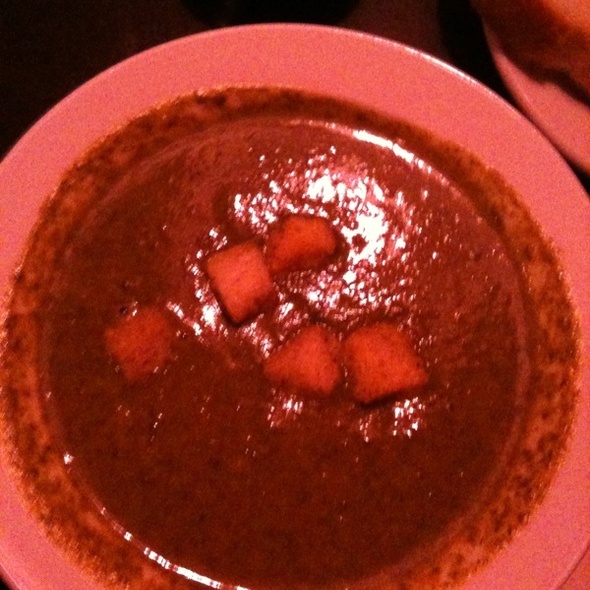 The food was extreme good, but the service and ambiance not so much. The room is very pretty and warm, but one of the first things we noticed was no tablecloths. Really, at a fine dining establishment? Which I guess was good because our "wine person" dribbled wine on the table while she was pouring and just walked away, so at least it was easy for us to wipe up with our napkins. The service was slow and our waiter was inattentive (30 minutes from when we finished our salads to when our entrees were served), when asked what was taking so long the waiter said something to the effect that "we make all our sauces from scratch" (both entrees had very quickly made "pan sauces") and rushed off, apparently offended and was not to be seen again until our food finely arrived. I sincerely doubt we will be back. I ordered the vegetables in phyllo as my entree. It was cooked perfectly, and very flavorful. The restaurant was fairly busy, but the table spacing/room acoustics made conversation without shouting possible. A very nice evening. The food was good, but the service was very poor. It took them at least ten minutes after I sat down to get my drink order, and we had to ask for more bread several times until we got more. The atmosphere was really nice, but the service was frustrating. We went because we had a coupon. This place is seriously outdated. The decor reminded us of an assisted living facility we had recently visited. The vegetable side dish was mushy, salty and buttery. The service was fine, but the food and decor need serious updating. Excellent food and service always! One suggestion is that they should have an occasional special vs. the usual menu items.